Tired of all the distractions littering today’s websites? 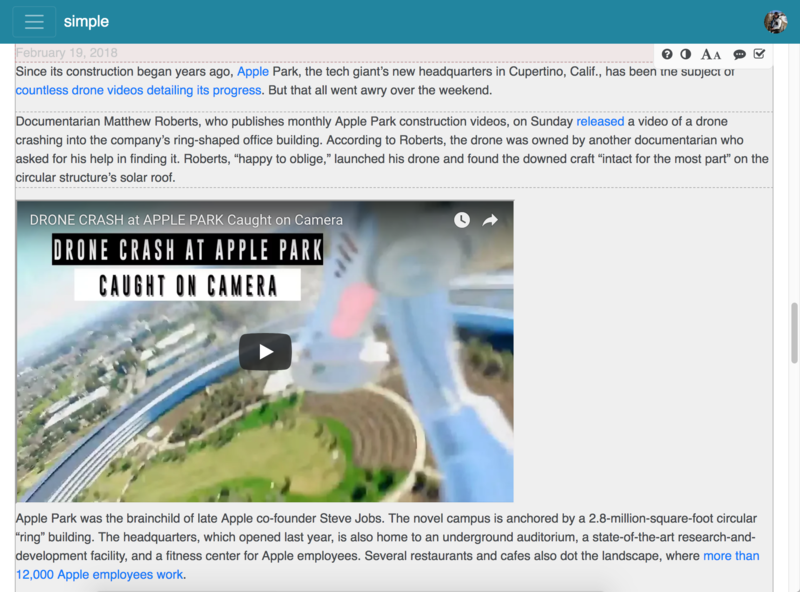 Want to share articles from the web with your students but hesitate because you’re not sure your students will even read the correct content? 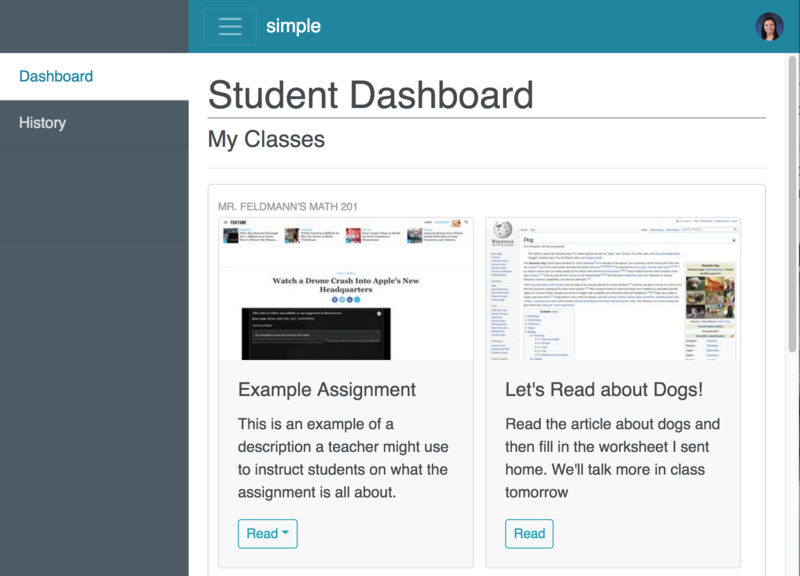 Simple was built to address these issues by extracting the most important parts of a webpage into a succinct article. Much like Reading View in Safari, Simple breaks down the webpage into sections meant for reading and only shows the sections you want it to. 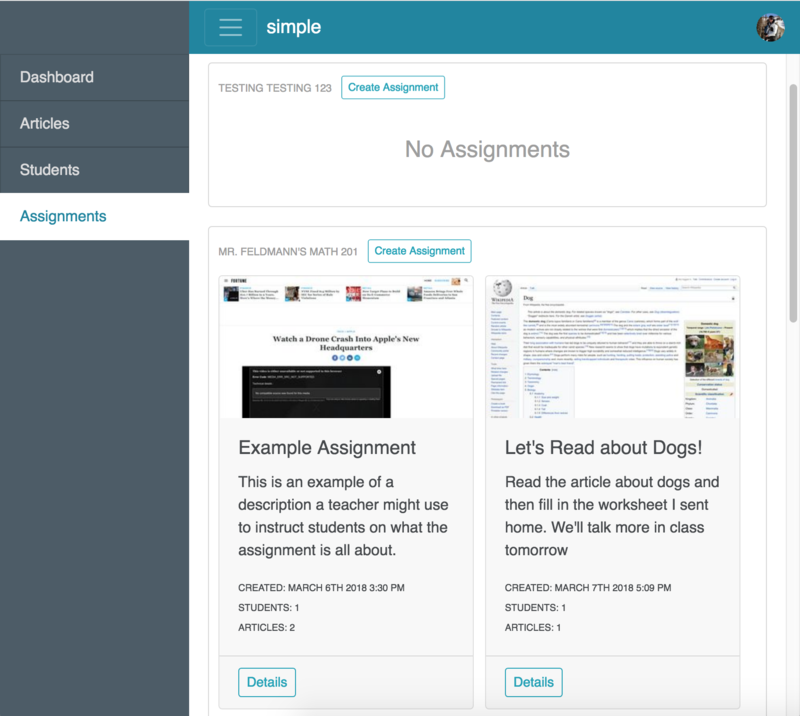 It then stores those articles for you to assign to your students. Create classes, invite students, add and review articles and then assign them to students knowing they’ll be focused and reading, not confused and overwhelmed! Try Simple.